ARTICLE – For those of you who are new here, The Gadgeteer will be 22 years old this summer. 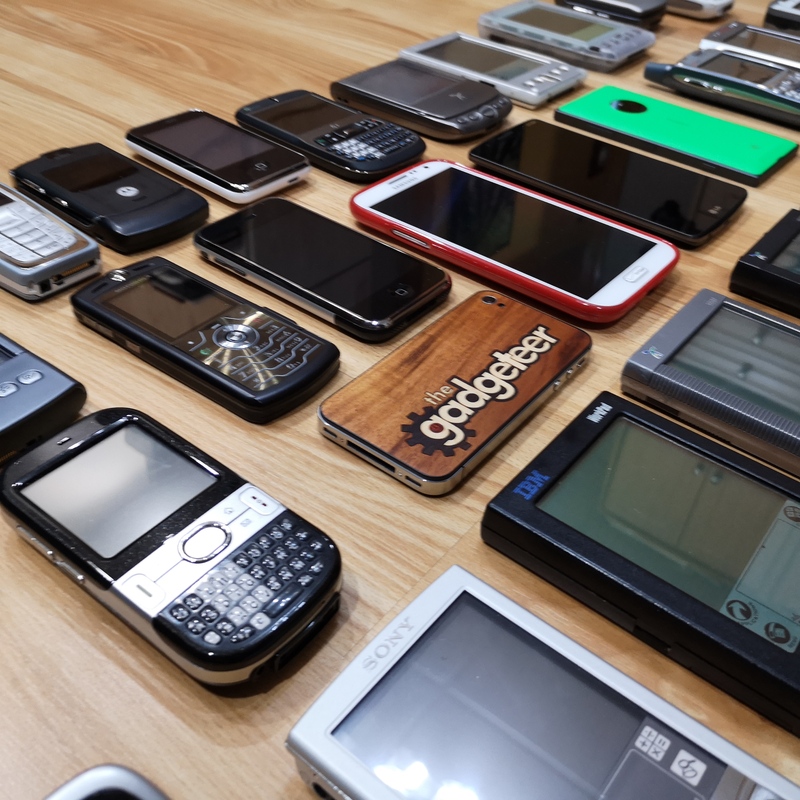 That’s a long time to be writing about gadgets and as you can imagine, I’ve amassed quite a collection of devices over the years which I keep in a special drawer down in my Gadgeteer lair. 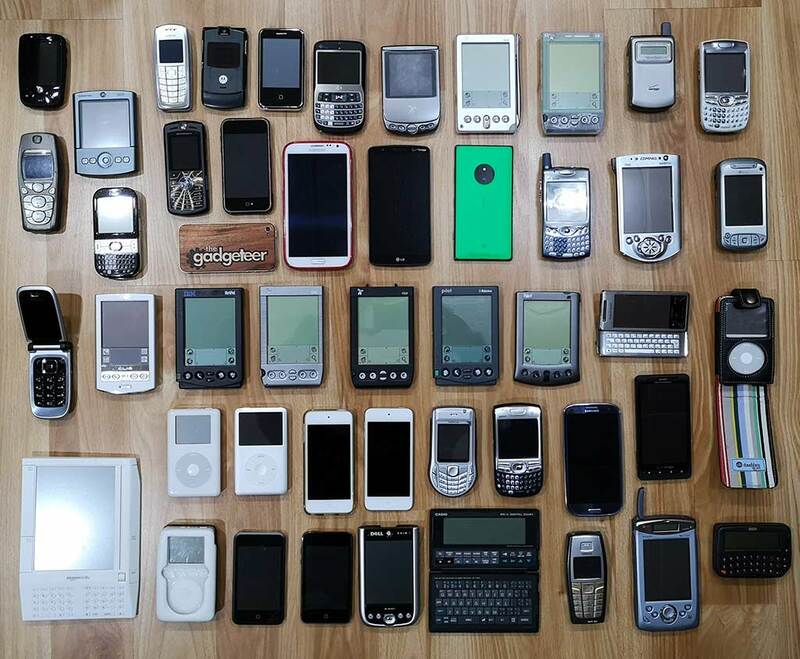 The other day I opened that drawer of gadgets-from-days-gone-by (yes, that’s the drawer’s name) and started sifting through the contents and ended up taking everything out to create the group shot that you see above. There are a lot of great memories connected to these devices and I thought it would be fun to take a walk down memory lane and bring all of you along with me for the trip. So let’s go! 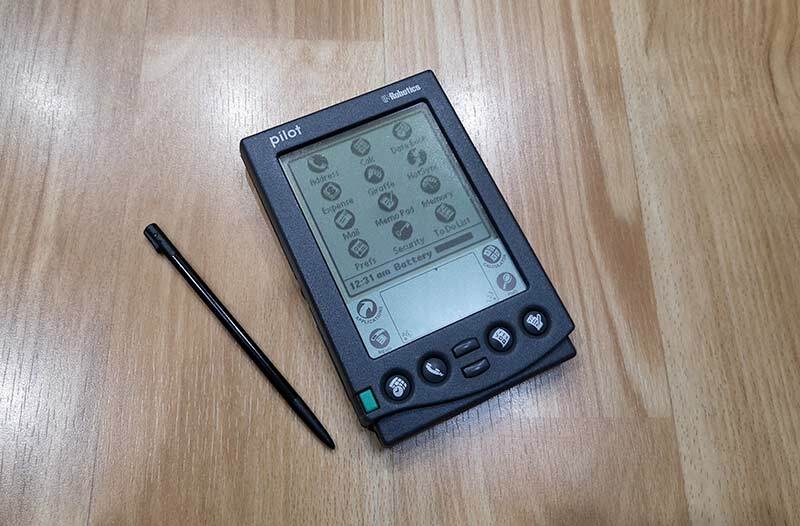 I consider the USRobotics PalmPilot to be the first real PDA (Personal Digital Assistant). I know there were Casio and Sharp databank style devices before the PalmPilot came on the scene, but they weren’t real PDAs in the way I/we think of them today. 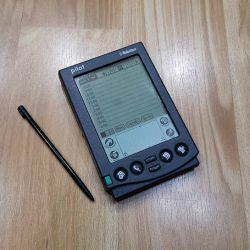 When I think of a PDA, I think of a touch screen, with a stylus, a selection of core apps like a calendar, task manager, address book, memo pad, etc., and the ability to install other apps to extend its capabilities. 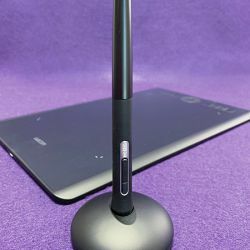 The PalmPilot with its grey plastic housing, matching “toothpick” stylus, and iconic black on green non-back lit LCD display is the device that you can really thank for the Gadgeteer website. 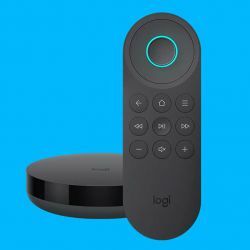 This device is what originally fueled my excitement for reviewing products. I had so much fun with that little device, testing and writing about 100’s of cases, styluses, programs, and all the crazy accessories. 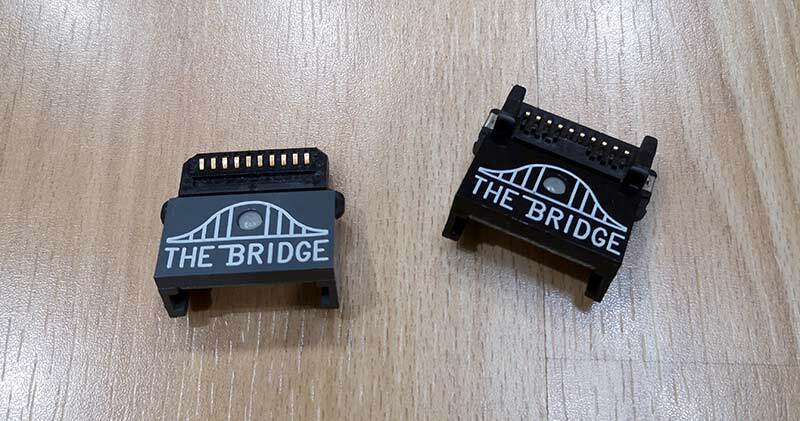 Do you remember The Bridge from Midwest PCB Designs? 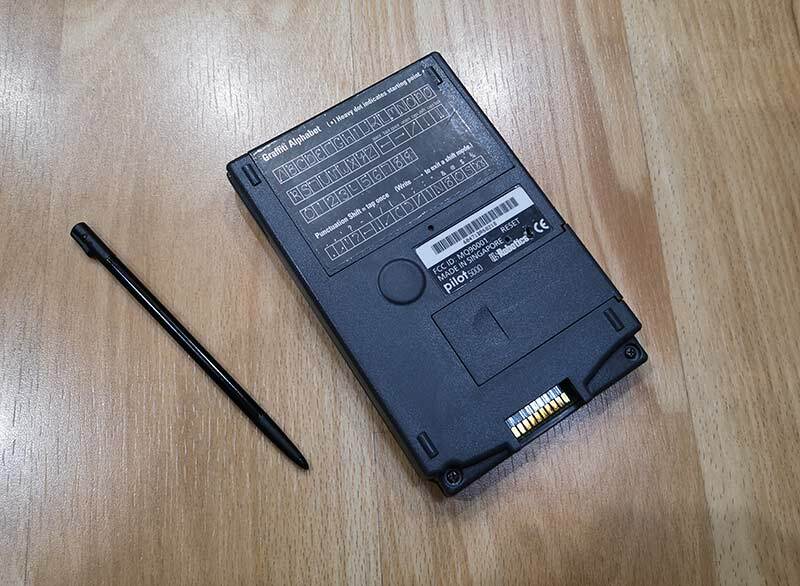 This little adapter would let you use a case with the PalmPilot’s HotSync cradle and was actually inspired by me. Go read the review for more on that back story. Jeff Hawkins, Donna Dubinsky, and Ed Colligan were the inventors of the PalmPilot and ended up leaving USRobotics/3Com/Palm Computing to start their own company called Handspring. They developed the Handspring Visor devices which also ran the Palm operating system. I had (and still do) several Visors which were exciting devices because they had a Springboard slot which allowed 3rd parties to create special accessories like modems, remote controls, etc. 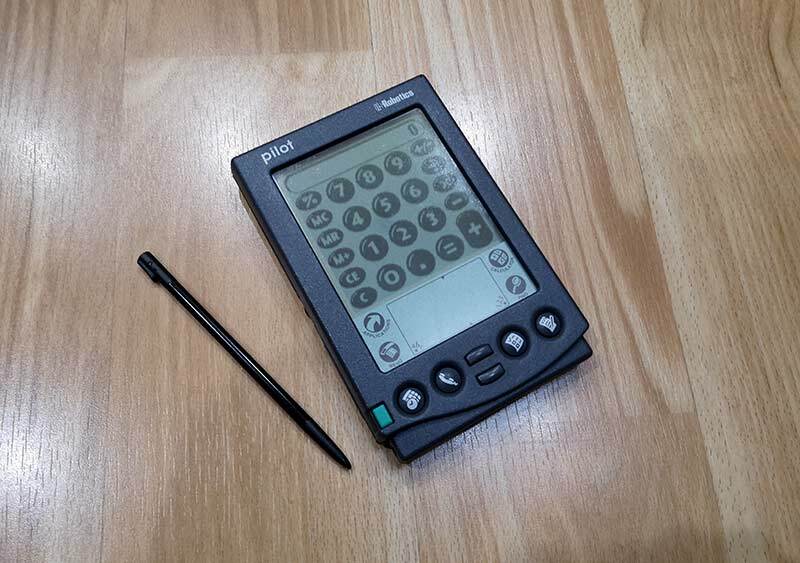 But Handspring wasn’t the only company who made PDAs powered by the Palm operating system. Sony’s line of Clie devices was also popular. Back in the late 90’s and early 2000’s, Palm, Sony, and Handspring were popping out new devices with stunning frequency. Sony was one of the best innovators of the time with their devices that had rotating displays and other unique features. The Palm Treo 650 was my first smartphone and as luck would have it, I still have this 15-year-old device and was able to find a charging cable that works with it. When I plugged it in, I was really surprised when it powered up. I thought it would be fun to see if it might still work as a phone, but when I checked for the SIM card slot, I didn’t find one because it was a Sprint phone. Those were the days when Sprint and Verizon didn’t use SIM cards and phone batteries lasted for days instead of hours. Here’s an interesting tidbit… I “hacked” that Sprint branded Treo 650 to work on the Verizon network. The Treo was high tech then, but we are talking 2G speeds (if that). So it wasn’t that great as a web surfing device, but it worked if you had an unlimited supply of patience. Those were the good old days. The Palm Centro was another favorite smartphone of mine mainly because it was so cute. I still had one in my drawer and was able to charge it up too and was very surprised to find a bunch of old text messages and a few old emails still saved on it. Today Apple, Samsung, and even Sony could learn a thing or two by revisiting these devices from 15 – 20 years ago. Then Palm, Handspring, and Sony were in a pseudo “arms race” to see who could come up with the most featured packed devices. It was like they threw everything but the kitchen sink into each new model just to see which features would stick. 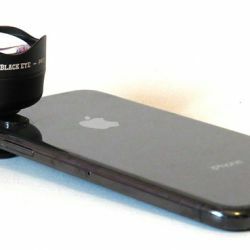 Now, they only seem to throw in extra cameras and consider that to be the pinnacle of innovative. Did you enjoy this quick stroll down nostalgia lane? What was your favorite device from 10 – 20 years ago? Please share your thoughts in the comment section below. And also be sure to check out our new Gadgeteer Time Machine widget in the right sidebar towards the top of the page. It shows Gadgeteer reviews from 1, 5, 10, and even 20 years ago each day. I was a beta tester for Palm – they recruited me when I registered the device stating I was an early adopter in L.A. County. Then when Handspring started I was contacted by them to be a beta tester. I remember being shipped a 128K memory board to replace the original and then later a 256K board……. 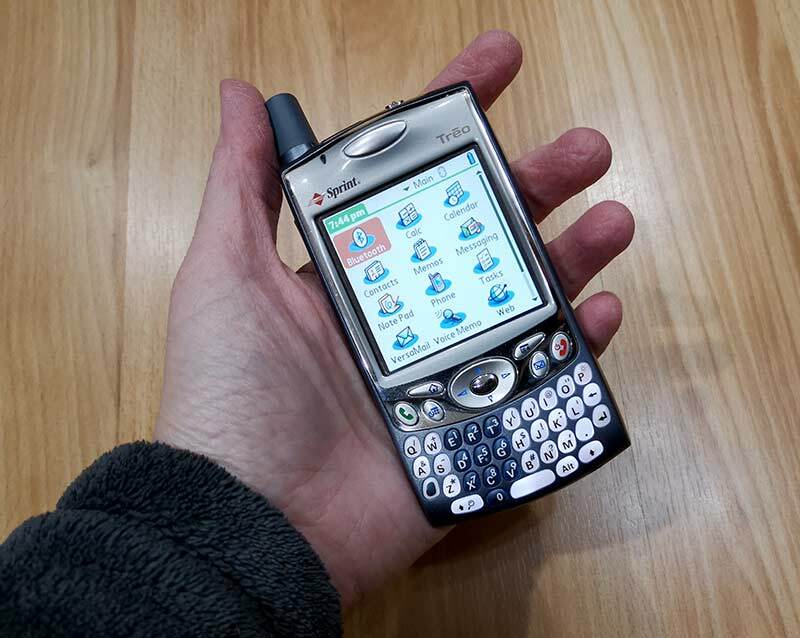 I’d still have a device today and my favorite phone would have been a Palm Pre – but it was not to be. I never got one because of the iPhone coming out and squashing the Web OS. Not a good job by HP as they failed the Palm user’s who were very hopeful of a resurgence. I think I had nearly every one of your display of devices except the Pre and I can still find my V which was USB driven instead of Serial which was a first as well, if memory serves. RIP Palm. Moose Man I would have loved being a beta tester for Palm. 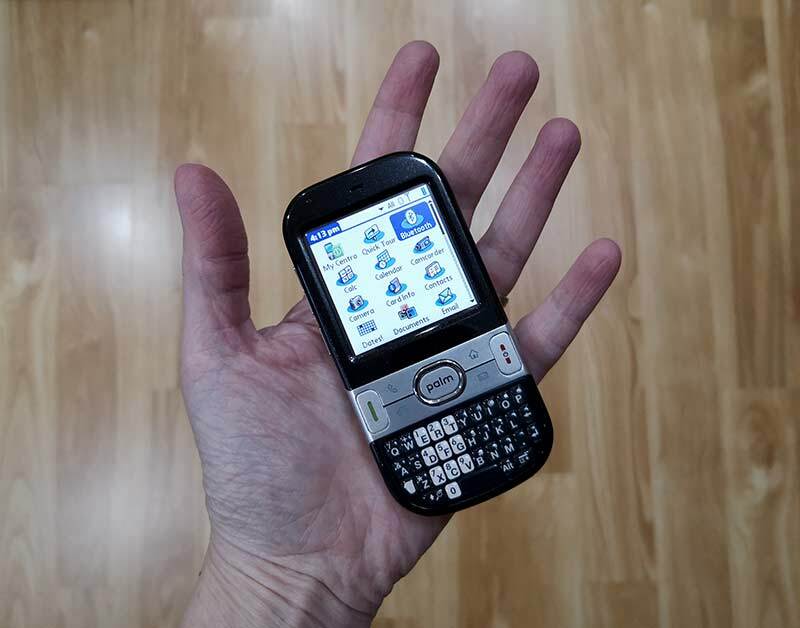 I was so disappointed when I heard about that new “Palm” phone that just came out. I always wondered what they could have come up with if they would have stayed in the game. I have good memories from the Palm days. I read many ebooks on my Tungsten T and TX. It was great to carry several books without the weight of paper books. These devices were my first chance to watch a movie on a handheld device. This was accomplished using an app called TCPMP. I probably had as many or more apps on the Palm TX as I do the iPhone. They were excellent devices. The biggest problem back then was finding free WiFi hotspots! My TX with its non-volatile memory still works. Hi Paul, same with me, I remember reading the first few Harry Potter books on my Palm device at the time. 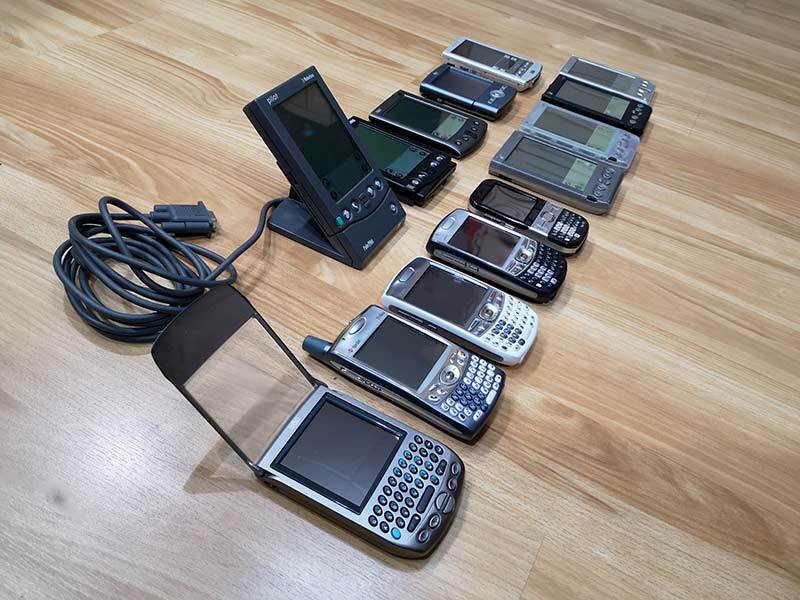 I have the same fond memories of my Palm handheld devices as when I ran a Bulletin Board System in the late 1980s. It was a great time to work with computers. I also ran a multi-line BBS under the OS/2 operating system. One that I ended up buying after reading yours and Judie’s review was the Tapwave Zodiac 2, and later on got Judie’s for a friend. 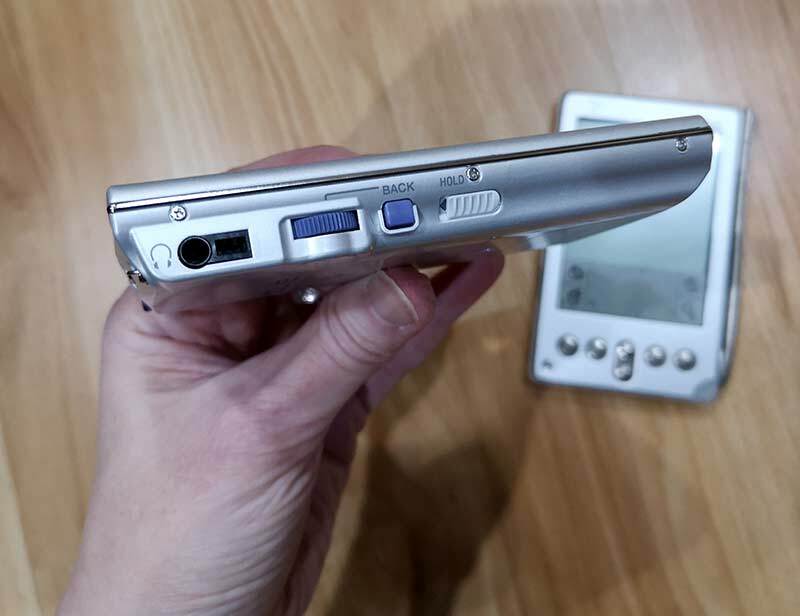 It was innovative/ambitious with specs to allow it to be a great multimedia pda, with TWO sd card slots, stereo speakers (though they were relatively close together), a decent-sized battery, and a community where music, videos, and games were playable because developers were making it all possible. It came out before the psp, and was able to keep a person organized/productive, and be one’s ereader, music and video player, image viewer, and great for video games – I remember some folks wished it just needed to be a camera, phone, and radio, and it’d be the one device to rule ’em all – yet otherwise, it was a solid choice back then! Didn’t mind bein’ a semi-early adopter for it (back in early ’04), and it was fun seeing it as an example of super-stealthy product placement/promotion (or just a cool-looking sci-fi prop) in shows like Stargate: SG1 and Atlantis and others. Was bummed to see the company shut down. Loved that they thought outside the box and went all-out in providing something a lot better than what was currently available, checking off a few boxes in hardware and software that ya didn’t see often all together, and was glad to have been a part of the excitement or passion of that time! That was before the fandoms of LOST and HEROES and other communities brought folks together online to talk about stuff (just what I recall, yet maybe only stuff I was interested in)… But I digress, lol. Anyway, thanks, Julie, for all the helpful reviews and lettin’ folks live vicariously through your experiences as ya test out lotsa tech! I still have mine, but the battery is worn out. I had some games on it, in addition to the more practical apps. I also have SplashID on it, which still have old passwords on it (in case I want to go back to those sites). Being a beta tester had its perks – you were offered the next gen device at 50% of retail. I got my first Palm IIIc for roughly less than that as they accidentally shipped me two of them for the price of one. I sold the second unit for an obvious profit. Handspring didn’t have the same perk, however. Thanks for the trip down memory lane – I’ll look and see if I have my charging cable for the Palm V that i own. I might still have it. That was a great blast from the past. I loved my Palm. I remember how excited I was when I was able to afford the first Palm with a color screen. I provided a lot of “tech support” for my Dad and several of his friends who all owned Palm Pilots. They would email me questions when they were having problems syncing or something wasn’t working correctly. We’d discuss the new models and if they should upgrade when they came out. It really was a great brand that was very innovative. I am surprised that the Ericsson R380 and Nokia Communicators did not merit even an honourable mention. For some of us who lived the Ericsson, Sony Ericsson and then Sony Xperia life, the Ericsson R380 was the first smartphone. Nokia communicators were the competition. I had access to a bunch of palm devices and never quite made the jump from pda to phone (didn’t want to blow up my mind). The devices I still don’t understand were the ipaqs. Why the hell did those die? We finally got full colour pdas and then they disappeared? The last truly awesome pdas were the ipaq series. Back then, compaq was going to conquer the tech world. James, this article was specifically about Palm devices. I plan to revisit some Windows CE and Windows Mobile devices at some point. I made this list a while back of all my Palm devices, many of which were purchased based on your reviews. I first bought one in I think 1998. A few of the ones I had marked as “still own” I think I finally got rid of the last time I moved. I have to admit I don’t even remember what some of these were— Palm Tungsten??? Sony Clie TJ35??? I resold lots of them on eBay after brief usage. After the Treo, I switched to iPhones but they’ve never been as exciting to me as Palm devices were. Thanks for the list. Wow, you had a lot of devices! Dang, I wish I still had one of my Casio E devices! I still have a Pilot 1000, Pilot 5000, and Palm 3 in shrinkwrapped boxes. 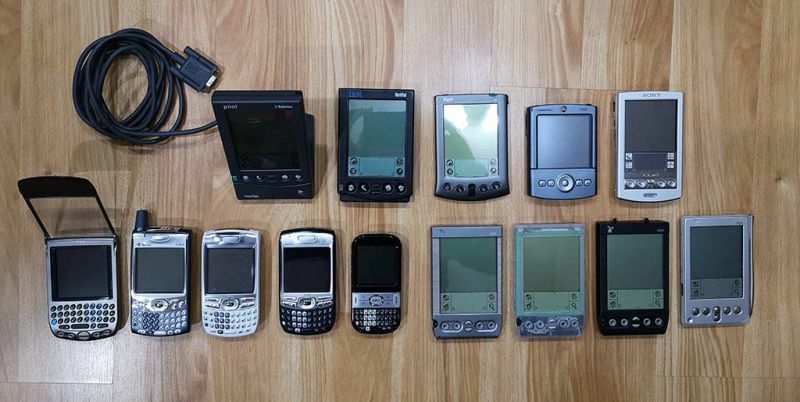 I worked at Palm during the Treo days and somebody was throwing them out during a corporate move. Wow, they might be worth something to a nerd someday! I have two PalmPilots upgraded with IR, plus a stock one. Also wondering if there are collectors out there. Your still-wrapped ones are obviously more valuable. Thank also for the great walk down memory lane. 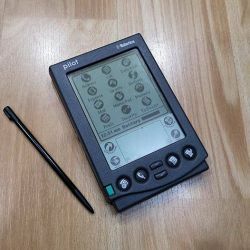 I had one of the Casio Clamshell PDAs from the early 90s but bought my first Palm Pilot from US Robotics in 1997 or 1998. I was (and still am) just an every man tech geek and was blown away when I could connect my PDA to my computer and sync up data. I was so very much intrigued with the Treo and wanted one so badly but I had just retired from the military and was attending college so I couldn’t justify and afford the cost back then. My first smartphone was the Sidekick on Voicestream (I don’t think they were T-Mobile yet). Eventually I went over to Windows Mobile platform and did a brief stint with iPhone then went Android and haven’t looked back. It’s been an amazing 20 plus years watching as mobile technology developed. Loved the article. Thanks Mark! Windows Mobile was one platform that I couldn’t embrace for some reason. It’s been Android for me too for the last several years. The last iPhone I used as my everyday device was the 4S, so it’s been 8 years or so since switched. Great article. I had many Palms and eventually had a Treo as well. I recall how upset I was when they went away. I had literally mastered the “Grafiti” handwriting and then it was gone. Not unlike mastering shorthand. A lost skill. Neil, I loved Grafitti too. I didn’t think I’d ever get used to a capacitive touch screen without needing a stylus. Now I can’t imagine going back to needing one. Aww … I started reading about applications and accessories on your site. Sold it on eBay (my first eBay transaction) to finance a Handspring Visor Deluxe in Orange. Moved on the Visor Prism (oooh… color!) and eventually added a Visor Phone module (wow!). Eventually, switched to a Handspring Treo 270. Then moved back to Palm – Tungsten T3 (with slider!). And, finished with the TX, retiring it in 2011 for an Android phone. Through it all (and to this day), my favorite app remains DateBk (by Pimlico Software) and its subsequent iterations. Hi Liz, do you mean one of these styluses? It was the PDA Panache Black Nail! 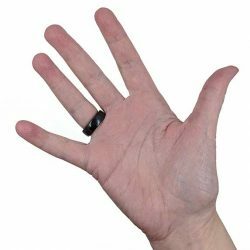 (I just found mention of it in your Palm III review, lamenting the fact that the Nail no longer fits). It actually looked like a nail, with a flat (nail head) top. Black, but I sanded it to give it a brushed metallic sort of finish. Wow I forgot about those anodized metal cases. Good times indeed! CESD (the guy behind Datebk) is now doing Android apps. Of particular note: Pimlical. Oh, wow, thank you Jo Valentine-Cooper! Pimlical looks like something that I will have to buy! 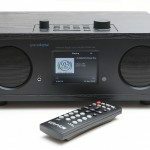 Anybody remember the Samsung SPH I-500? It was Palm/Graffiti based and worked fine for the times. When it first came out I thought it was the future of cell phones. It had all of the features of the Palm Pilot and Palm phones in a clam shell type configuration. It was slow but it did work. Still got it laying around in a spare room somewhere. Judie wrote that one 😉 fun times! I was a Handspring Visor user from the get go! It was nice to be able to jot down something, set a reminder and what not. STILL to this day, when I write the number eight, I write is down in the fashion that was required on the device. I still have all but the Visor. What fun! Thanks for the reviews. I wonder what we’ll be talking about 22 years from now! I wonder if gadgets will be foldable or virtual (so no gadget at all)? Can’t imaging they will be phablets, due to the goofy size. I’m definitely curious about folding devices. I miss those days working doing tech support for Iambic and Agendus. I still have my TX and run Agendus on it. I owned every type of palm there was and remember when we started testing on the Treo. I thought I was in heaven. I can’t believe the Kyocera 6035 wasn’t mentioned! I had one of those back in the day. I’m sure I read about it here before buying it. Those were the days. Sure, gadgets weren’t so capable then, but there was so much innovation! Good memory Chris! I forgot about that particular device too. I don’t think I ever had one or if I did it was only for a brief time. I’ve been visiting your site since just before Y2K. After surviving that I felt justified to get a Compaq iPaq which was about a thousand dollars in today’s money. ($500). Had a lot of fun modifying expansion sleeves if you remember those. New pda’s came out slowly back then and most people I new weren’t interested. Then people debated having a pda and a phone. Look where we are now with dozens of manufacturers competing on everything connected to the cell phone industry. I’m hoping for something really mind blowing soon and I’ll be waiting for you to give it the squeeze test. Thanks for being The Gadgeteer. Hi Phil, Yes I do remember the iPaq sleeves. Particularly the Silver Slider series. That makes me wonder what some of these “makers” doing now. OMG has it really been only 22 years? Your site was one of the first that propelled me on my Palm journey. 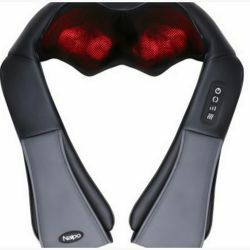 My must have site to see the latest devices. I was a Palm fan for years after switching from a Windows Casio. I eagerly read your site and still do every day. I always felt like I was on your journey with you. I too had almost all of the Palm/Sony/Handspring devices you showed and loved every one including the Handspring phone attachment. What an amazing trip down memory lane. Thanks for it all!!! I was a late adopter; my first Palm was a Tungsten T3 (I loved it, except for the slider that quickly lost its ability to stay open; in contrast, that T3’s digitizer probably still works perfectly, unlike my Palm TX’s ridiculously unreliable digitizer). My first smartphone was a Treo 755p. For years I used that phone and a cradle that converted it into an excellent TomTom GPS (which worked flawlessly once the Treo no longer had to double as a phone). My next smartphone was a Centro, which remains active on my cellular account. Why do I still use it, in addition to my Android phone? Because with an application (not “app”!) called CallRec it lets me record calls in high-quality audio directly onto the Centro’s micro-SD card. That’s a capability that, as far as I know, today’s smartphones don’t offer without the use of expensive cloud-based services. I also still use Natara’s DayNotez. If anyone knows of a “modern” app that can match it, please let me know. And I can’t submit this comment without also mentioning MapleTop Software, whose CoLauncher and SuperMemo have been invaluable to me. Today’s smartphones are flashier, but in some ways I’m still waiting for them to match my old Palm devices and applications. And yes, e-books! We shouldn’t forget Mobipocket, the French e-reader application that Amazon wisely purchased and modified to power its Kindles. Mobipocket e-books still open seamlessly on Kindle devices. Holy cow, I almost forgot to mention Wakefield Soft’s brilliant PDACookbook! And, from Italy, Treodesktop! Good stuff. Hello Dan, thank you for sharing those comments. 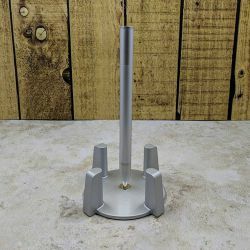 It’s interesting that you’re still using your Centro! How many days can you get from a full charge? To be honest I’m not sure, because I have several batteries and a separate battery charger, a great Palm accessory that I only bought during one of the fire sales the company had before it disappeared. When I notice that my battery is less than 80% charged, I just switch it out for a fresh one. That’s another great feature of the Centro that I neglected to mention. Sometimes a very long phone conversation (two hours or so) will fully deplete a battery. I don’t think that’s any different from when I first got the phone. I am starting to get e-mails saying that I should get a new phone, because my service will deteriorate as towers are updated and 3G service is not maintained. Also, the Centro lost all Internet connectivity a while back. I temporarily removed it from my cellular account, and when I re-added it my provider (Sprint) no longer had the ability, knowledge and/or desire to set that up again. The browser on the phone had long since become useless, of course, but I could still use the Centro, a sync cable and an application whose name escapes me at the moment to get a free tethered Internet connection for my laptop in a pinch! All until just a year or two ago. I appreciate all your reviews and posts! Hi Mary, thank you for sharing your comments. Jo, yes, Sony’s Memory Stick was annoying! I still have one or two of them around here somewhere tho. Ah, yes, the Memory Stick! Those Clies would have been such great devices if not for that and Sony’s stinginess with internal memory. Do you have an HTC Universal? No I don’t have that one. 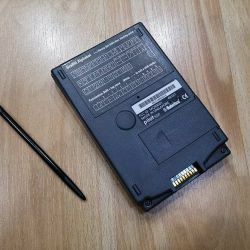 I had one of the early PalmPilots and a Sony Clie PEG-NX80 – ultimately upgraded to the Palm TX which I still have – used it as my peripheral brain with HanDBase which they make for iPhone and Android. I think I want one ‘cuz it looks so cool!!! Hi Craig, I’ve been trying to get my hands on that new Gemini PC! 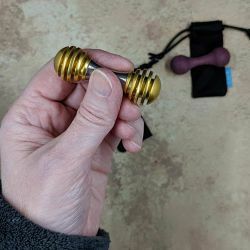 After reading this post, I miss my old palms… I believe my first was a IIIxe and moved onto others like the Zire and Tungsten line. My last may have been the TX. I had so many and never kept any, what was I thinking! I’ve been reading the Gadgeteer all along. I cannot believe that it has been 22 years of hanging out with you (online that is) reading about tech! Thanks for the journey down memory lane! 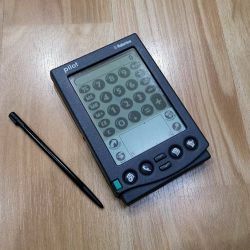 I loved my Palm devices over the years and especially found huge value in being to “Hot Sync” with Franklin Planner Software and later Plan Plus. It seems like I upgraded every chance I could. 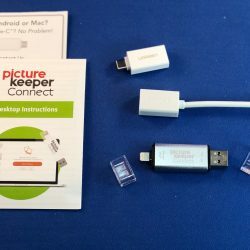 Do you remember the PalmPix / Palm V/Vx combination? I loved the HandEra 330, with it’s SD and CF card slots. How about the “sled” attachments for the Tungsten series (batteries, MP3 players)? The Sony variants added to convergence of all of these! Then there were the various Palm to <> cables to allow cellular data connections. The Palm ecosystem thrived! Thanks for your continued dedication to keeping this site alive and helping to keep us all informed! You’ve outlived many of the other device-oriented sites (PalmInfoCenter, TreoCentral, etc). I’ve loved coming back every few days for new content and look forward to the next 22! Thanks again!!!!! After that I attempted to use WindowsCE based devices, but never liked them. The iPhone is my new fave device, and it really does bring back memories of the Palm devices. Thanks again – I got lots of apps and accessories thanks to your great reviews. Hi Steve, Thanks for your comments. I’m like you, Windows CE never grabbed me as Palm devices did. Yes, that was a good one too! Thanks for the memories! And thanks for this site. I, too, first found you looking for Palm information. Ahh, my old Tungstun TX! I still use eWallet on my iPhone after all these years–I first had it on the Palm . 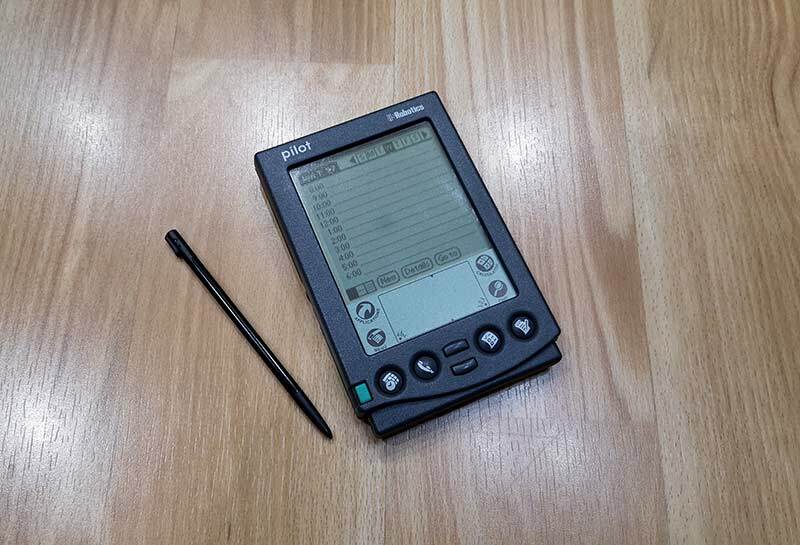 Please also have a look back at the Psion–I was heartbroken to get rid of my old one recently. 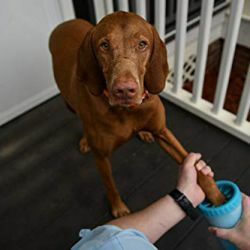 Loved the alarm that would get progressively louder–I paired that feature with the bell sound–it woke me up so humanely! Thanks Julie, I still love the site. Hi Bruce, I’d love to look back at Psion but unfortunately, I don’t have any Psion devices these days 🙁 Maybe it’s time for an eBay expedition! I too loved the Palm and Handspring devices. One year, my family got together to buy me a Palm TX for my birthday! 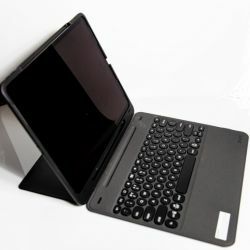 Speaking of things that make me nostalgic, I fondly recall the Motorola Lapdock 100, which I admit I bought used, which made a lot more sense financially. Had they not insisted on making each version specific to a single phone, the idea might have caught on. 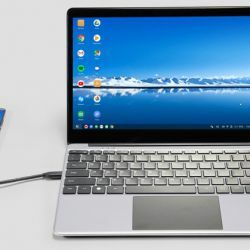 So it’s no surprise that my latest non – mainstream device is the Sentio Superbook. It just makes so much sense to have one dumb terminal with keyboard and screen, that you can continue using with newer phones with more processing power, instead of repeatedly spending money to replace both phones and laptops. Not only more fiscally responsible, but seriously reducing waste in landfills. Sorry to say, the concept doesn’t seem to be catching on like I think it should. Hi Cynthia, so you like the Superbook? I’ve been wanting to review one but didn’t know they were finally shipping them. Aaand… NO Newton, I see.